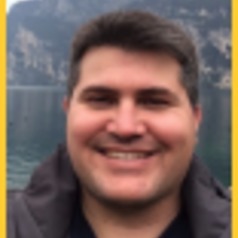 Dr. Matthew Fagan is an assistant professor in the Department of Geography & Environmental Systems at the University of Maryland, Baltimore County (UMBC). As both a conservation geographer and ecologist, he uses field work and the analysis of satellite and aerial imagery (remote sensing) to understand how forests are changing over time. His lab's research focuses on the causes and consequences of the fragmentation of natural habitat, and how stakeholders can best conserve and reconnect managed landscapes. To do this, they try to understand the process of fragmentation and habitat loss from several different perspectives: ecological, geographical, and socioeconomic. ﻿​Dr. Fagan is particularly interested in processes and policies that promote reforestation and habitat restoration at the landscape scale. Recent Fagan lab projects include: 1) long-term assessments of landscape conservation policies in Costa Rica, including habitat corridors; 2) monitoring agricultural expansion and forest restoration across the tropics; 3) the landscape ecology of industrial pine plantations in the southeastern US; and 4) assessments of riparian forest degradation in Costa Rica and Maryland using LiDAR and high-resolution imagery.